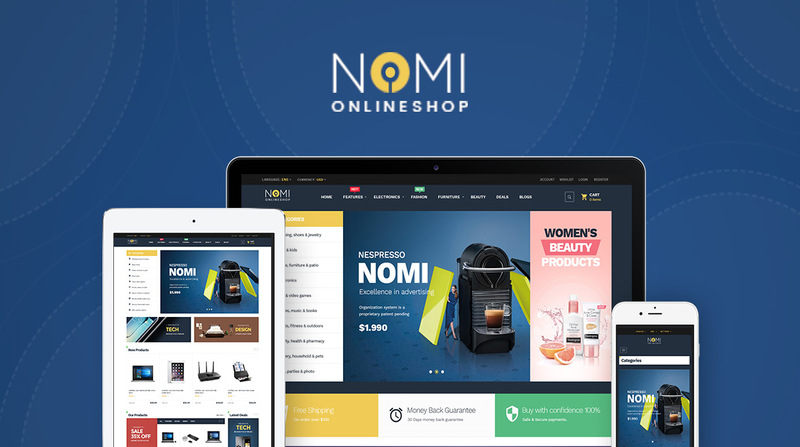 Pts Nomi – multipurpose Prestashop theme for Digital & Electronics, Furniture, Decor has been released. The theme is built with Prestashop drag and drop page builder to build stunning pages in minutes. The theme has 3 premade demos, multiple header style, support Megamenu, vertical Megamenu, additional CMS pages. It comes with multiple shop pages: category, top seller, new product. The theme is fully responsive at core, every single element is designed to have outstanding look and feel in responsive layouts. The multipurpose Prestashop theme is SEO friendly and optimized code base. It is easy to customize thanks to the clean and well structure code base and intuitive theme control panel that includes lots of useful options to manage your site.